Are you ready for an intimate, authentic, loving relationship with your Soul Companion – one that is heart-centered, spiritually healthy and healing? 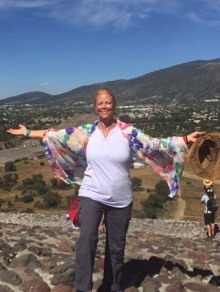 The Calling Ceremony works with time honored shamanic practices to heal and transform the limiting beliefs and fears that have hindered your Beloved from showing up. Embark on this sacred journey if you dare. It is dangerous work – you could end up being happy! In this practical guide and spiritual memoir, Robin White Star reveals the intricacies and richness of the shamanic calling ceremony: the miraculous power of gratitude that fuels the calling for your soul companion, making a heart request that is specific without being limiting, sifting through and releasing hundreds of beliefs that have obscured your inner truths, and reawakening the innate ability to stand in your truth with wholehearted kindness to yourself and your loved ones. 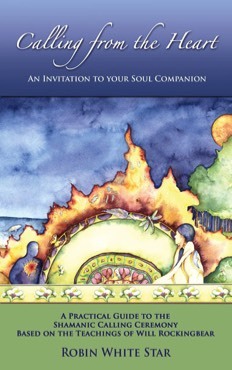 The calling ceremony awakens long dormant instincts for sacred relationship, inviting you to safely traverse the inner landscape of your soul consciousness in order to release the fears and limitations that have hindered your ability to manifest your heart’s desire for an intimate, authentic, loving relationship with your Soul Companion – whether with a new or existing partner. This calling from the heart starts with your own healing and purification, personal empowerment and spiritual understanding until you are crystal clear about who you perceive yourself to be and who you are calling into your life. Then you are ready to sit with the Cosmic Fire to magnetize and call your Beloved to you, energetically making the soul connections to one another so that you can meet physically with grace and ease. White Star outlines the ceremonies and indigenous wisdom ways that she learned in the oral tradition of mouth to ear as an apprentice for over 17 years to a healer and medicine man of Cherokee descent in the Blue Ridge Mountains of Western North Carolina. These native teachings and traditions are related in her own words with clarity and humor, sharing her personal journey with candor and insight, and making this sacred way of calling a soul companion available to all who are seeking a higher vibration relationship. Consciously invoking joy and healing, and welcoming the web of co-creation and interconnectedness back into your life is the true power of the Calling Ceremony. Embark on this sacred journey if you dare. It is dangerous work – you could end up being happy! 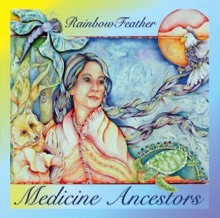 The Medicine Ancestors CD, recorded live at the Flower Eagle Medicine Lodge in Winston-Salem, NC, is designed to help you in your shamanic journeys into the invisible world for healing and insight. Prepare for the journey with "Calling in the Directions"; give gratitude and praise for your life with "Gratitude"; make your request for healing - specific without being limiting - with "Healing Request"; journey with the shamanic drum beat to heal your life with "Dreamtime Journey"; then continue your journey with "Moccasins Dancing the Milky Way" and "Honoring the Clan Mothers" or return to the here and now, regrouping the messages you received in your dream journey; center yourself back into your physical body, fully grounded with "Heart Beat"; and realize the full integration and alignment of your spiritual and physical realities with "We are Spirit." CD comes with 4 page instructional insert and shrink wrapped. 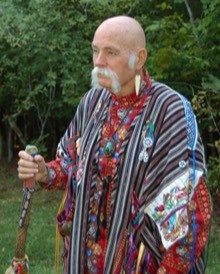 Will Rockingbear, a Cherokee teacher, healer and wise man, taught and healed from his Lodge in the Blue Ridge Mountains in Western North Carolina. Rockingbear taught with great insight, gentleness, impeccability and humor and we are most fortunate to have some of his teaching circles recorded. He dropped his robe and returned to the campfires of his Ancestors in January 2013. We hold such gratitude for his life and the skills, talents and unconditional love he share so wisely. If anything on this site has been helpful to you or you have received healing and assistance through a healing request and you wish to express your thanks in a monetary gift, it will be gratefully received. The amount you gift is entirely at your discernment. It is between you and Spirit.